Power Forwards are a highly saught commodity for their strength, skill, determination, and ability to make a difference. They come to play! Should it be any different in business or at home? 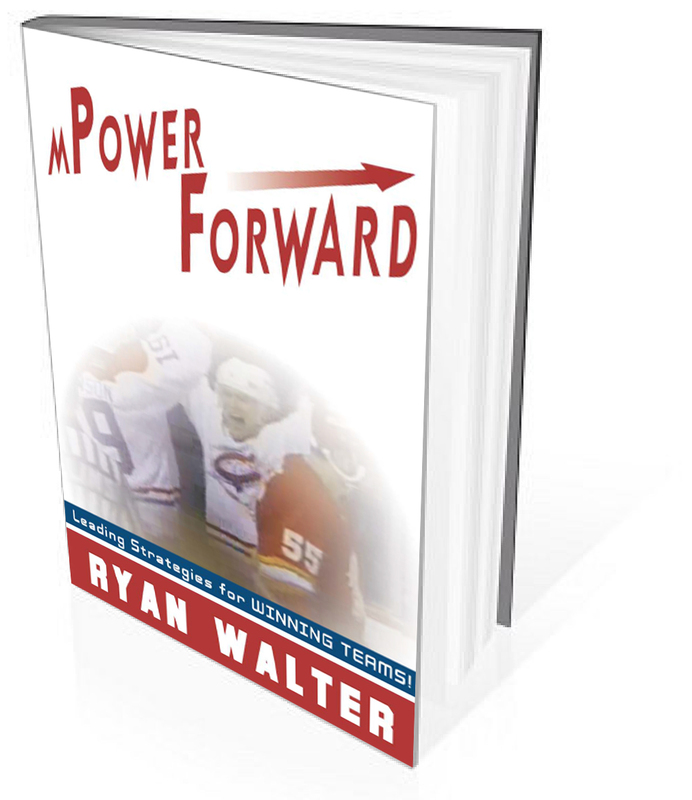 mPower Forward is an insightful look into the leading strategies for winning teams. Ryan Walter is a dynamic TV broadcaster, entrepreneur, professional speaker, workshop leader, author, actor and father of 5. He experienced first hand the success ingredients that make teams and leaders win during his 15-season NHL career. After being drafted number 2 in the world, Ryan’s NHL play as a Power Forward was highlighted by a Stanley Cup Victory with the Montreal Canadiens, and included an All-Star Game appearance, a bronze medal victory with Team Canada, 1000 plus NHL games, and the NHL Man of the Year Award.